We saw the leaked pictures yesterday and now Samsung has announced the faster variant of its Galaxy S4 phone. 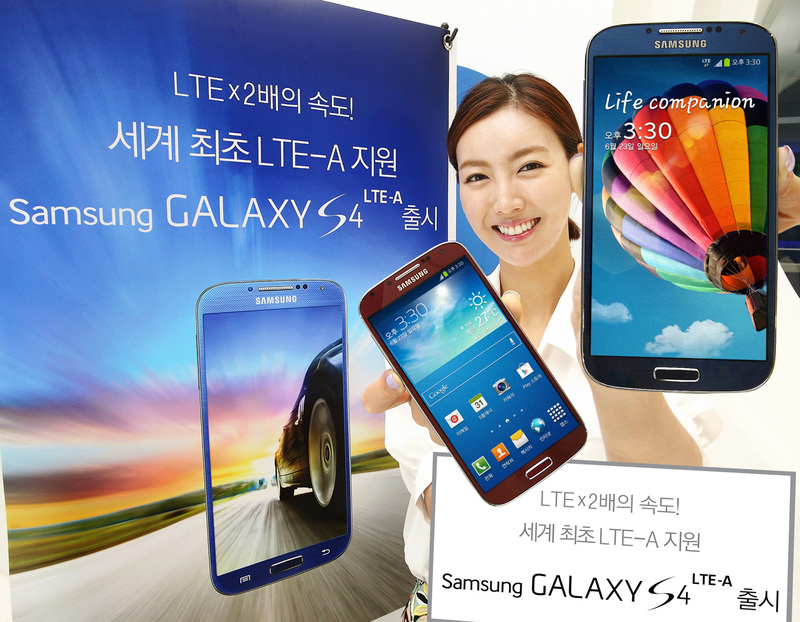 The Galaxy S4 LTE-A boasts LTE-A support that promises data speed to up to 150Mbps and Qualcomm’s high-end 2.3GHz Snapdragon 800 quad-core CPU. Other new features that will be part of the South Korean variant will be DMB and ImageON that will analyze the images that users view, identifies it and plays videos related to the image. However, apart from these changes, the Galaxy S4 LTE-A is similar to the original variant and comes with 2GB RAM, 5-inch Full HD Super AMOLED display, 13MP and 2MP cameras, 32GB internal memory, microSD card slot, 2600mAh battery, S Health, WatchON, S Translator, Smart Scroll and Smart Pause. The phone will be available in Arctic Blue and Aurora Red. Quando chegar aqui no brasil, o Galaxy s5 estará sendo lançado.Então eu vou querer obviamente o s5! A Samsung peca em áreas específicas…tipo memória interna,(pouco espaço), e demora para globalização de produtos…bad! Sold in Korea first, then out in Europe later on? Even if it were planned to be available in Europe later, I don’t think it’s actually useful since the 4G is still being implemented in a lot of countries in Europe, so it’s only in its early stages… Not to mention LTE is good, but you’d need an adequate contrat with enough data that goes with it, right? Its a different modem chip, it works like HSDPA PLUS on 3G networks that doubles from 21 MBs to 42 MBs. It doubles 75 MBs to 150 MBs on 4G. That technology is avaiable here in Portugal , its used on internet mobile pens or mobile routers. Its not new, but its new on a smartphone.